Warm open fires, oaks beams and an intimate, relaxed atmosphere. We are totally committed to making your stay one of total comfort in an immaculate setting. On the bar we serve great selection of beers from our local Kirkby Lonsdale Brewery. All our rooms are en-suite, contain flat screen LCD TVs and provide tea & coffee making facilities. At The Orange Tree, we are proud to serve hearty meals in a traditional country pub. Please don't hesitate to call us on 01524 271716 or Email us at Info@theorangetreehotel.co.uk. Accommodation here at The Orange Tree plus golf at Kirkby Lonsdale Golf Club; you can visit their website here: http://www.kirkbylonsdalegolfclub.com. 1 Nights bed and breakfast including 2 days’ golf - £72.50 per person. 2 Nights bed and breakfast including 2 days’ golf - £115.00 per person. 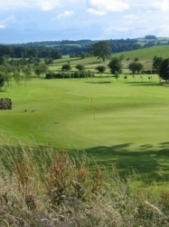 3 Nights bed and breakfast including 3 days’ golf - £130.00 per person (3rd night stay is free). 1 Night bed and breakfast including 2 days’ golf - £92.50 per person. 2 Nights bed and breakfast including 2 days’ golf - £135.00 per person. 3 Nights bed and breakfast including 3 days’ golf - £160.00 per person (3rd night stay is free). Golf buggies are available to book. This deal is also available during the week, email for more information on info@theorangetreehotel.co.uk. Browse through some interior images of The Orange Tree and the facilities we provide. If you would like any more information about what we can provide for you or would like to make an enquiry, please don't hesitate to Call Us on 01524 271716 or Email Us at Info@theorangetreehotel.co.uk.